This is the second of three articles about the unique and distinctive wood carvings of Herbert Millard. 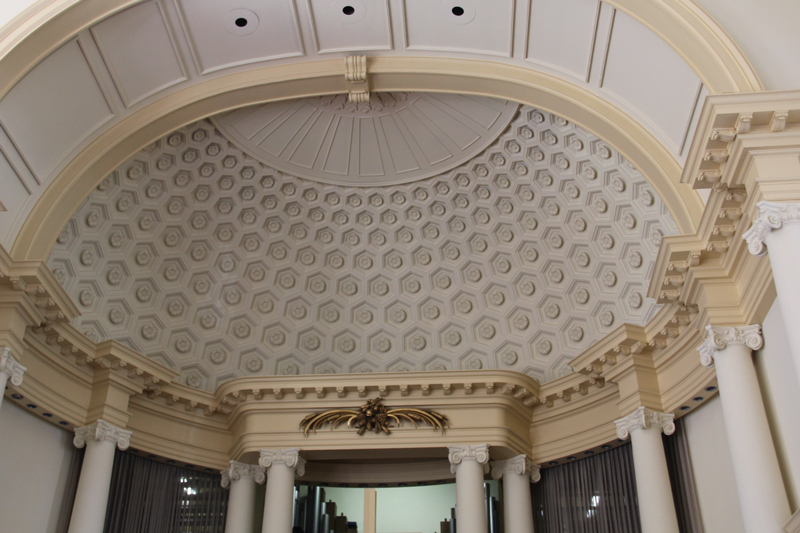 The first article was about his masterpiece, The Whitehead Memorial Room at Emory University Hospital in Atlanta. This article is about other Millard wood carvings – stay tuned for the third biographical article about Millard. It is not known whether Herbert Millard kept a job list. 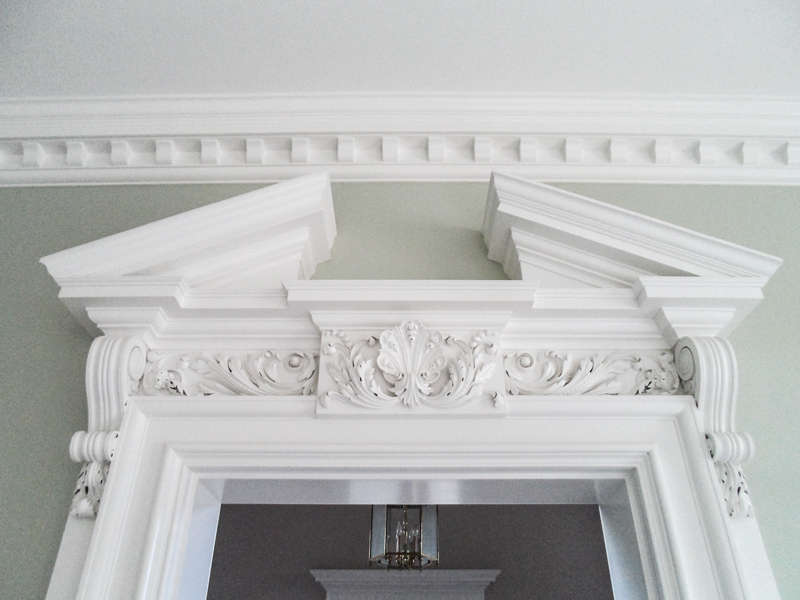 Like many master craftsmen, he may not have, preferring instead to move ahead from one job to the next leaving it to the architect to keep records about the work done. 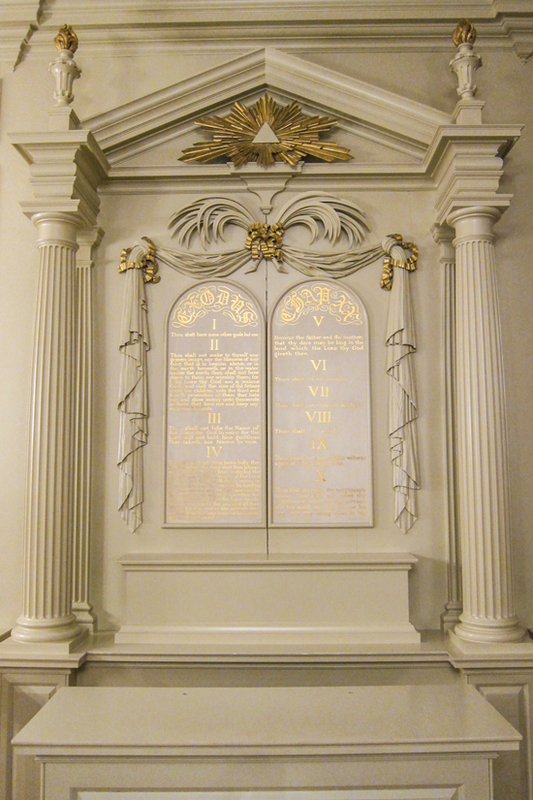 This article contains images of Millard carvings in Georgia, other Southeast locations, and Washington, D. C.
The Little Chapel at Glen Memorial United Methodist Church in Atlanta, GA was inspired by the interior of St. Steven Walbrook in London, but on a smaller scale. 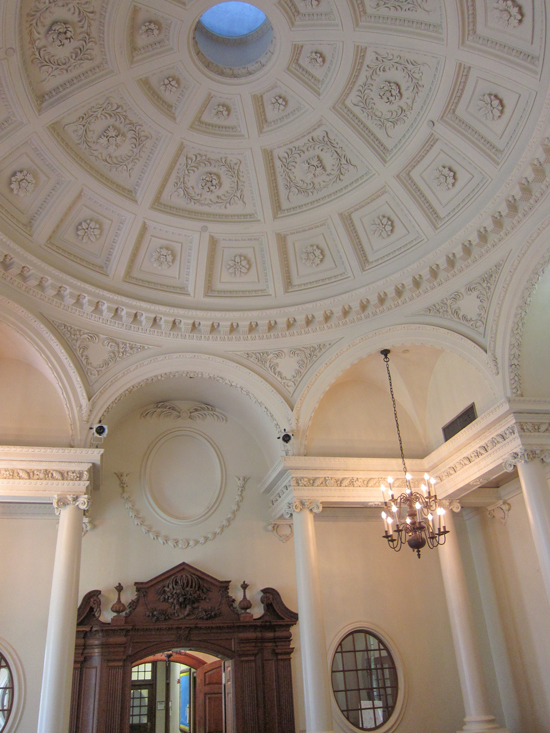 St. Steven is considered to be one of Sir Christopher Wren’s finest works. The Little Chapel was named by its benefactress Flora Glenn Candler. Noted Atlanta architect Philip Trammel Shutze designed it. Grand as it is, it seats a modest seventy-five people. 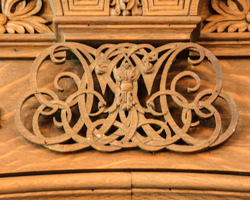 Christopher Wren employed master woodcarver Grinling Gibbons for his decorative wood carvings, and Shutze similarly employed Herbert Millard to decorate his interiors with striking and masterful wood carvings. The Little Chapel was dedicated in 1940. 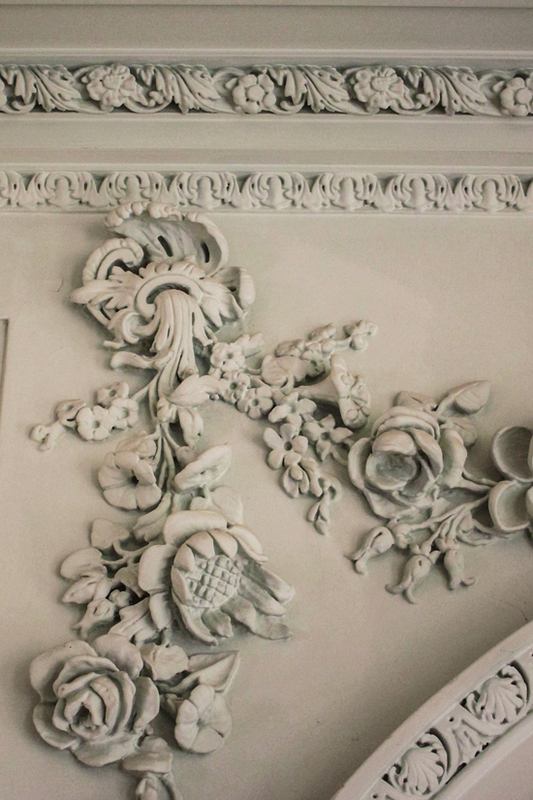 Plaster decorations abound in the Little Chapel but this is a Millard wood carving painted to match the predominantly white color scheme. 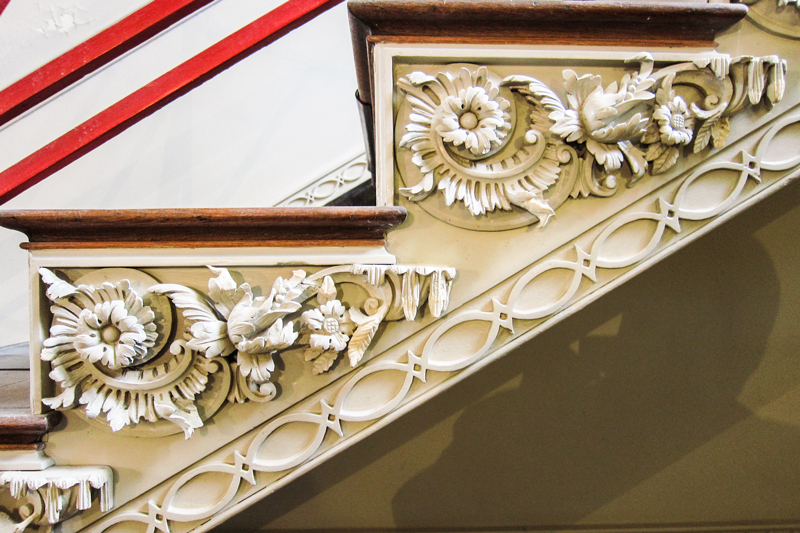 As will be seen in this article, Millard frequently created painted and gilded wood carvings. 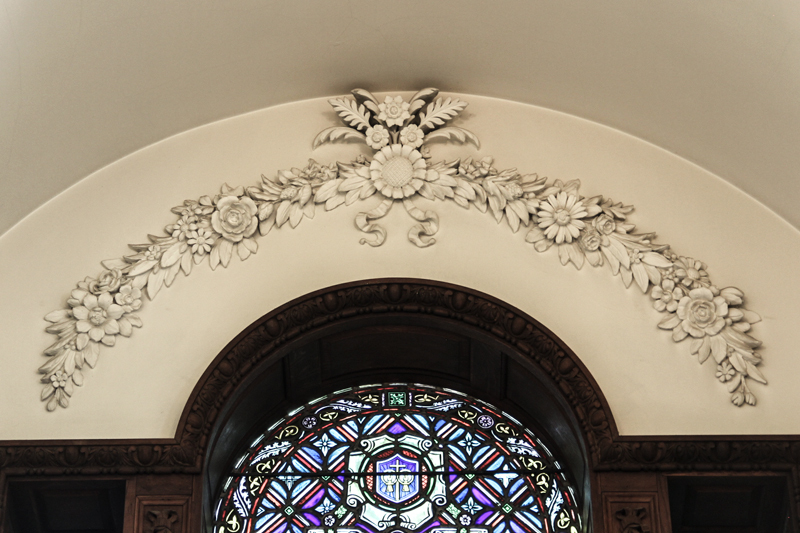 Below is a floral garland that is above the stained glass window behind the altar. Again, this is a characteristic Millard wood-carving painted to match the white wall. 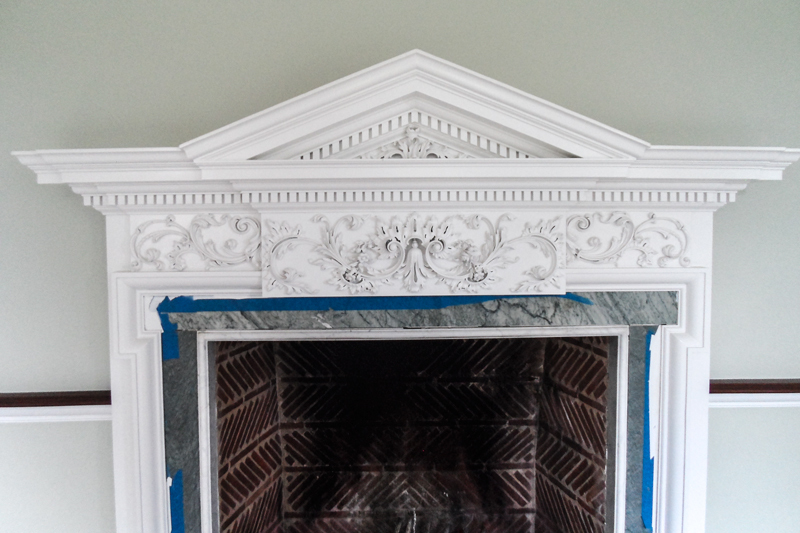 While plaster can be sculpted artfully, it also can be molded in a form, which wood carvings cannot. 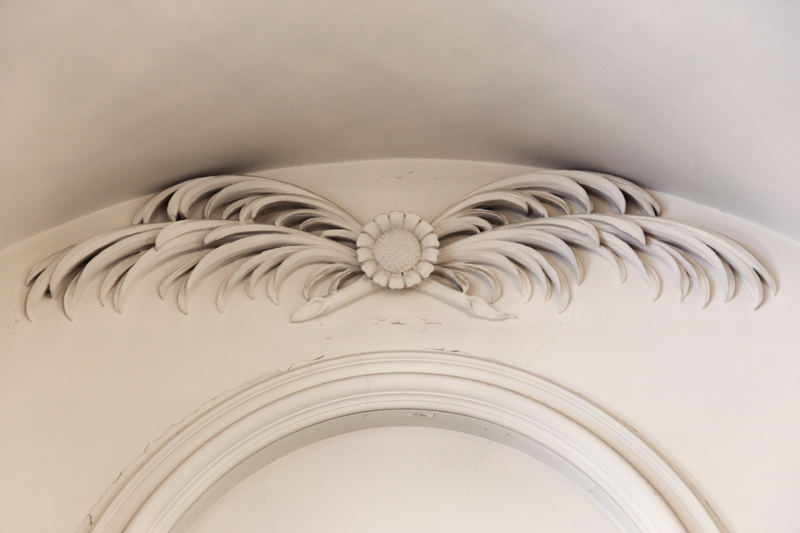 A beautiful plaster decoration can be duplicated many times from a mold which makes it a good medium for repeated designs, like the dome medallions in the Little Chapel. 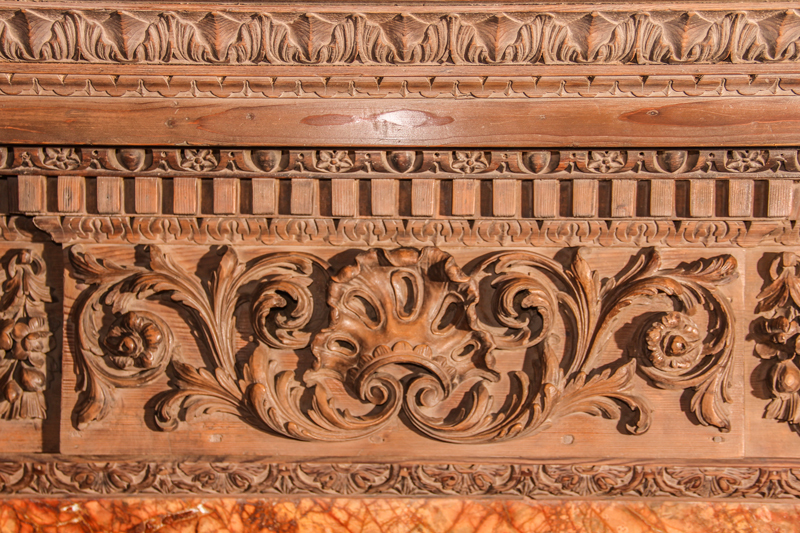 Hand-carved wood decorations, however, can only be duplicated by carving them again, with about the same amount of effort as making the the original. 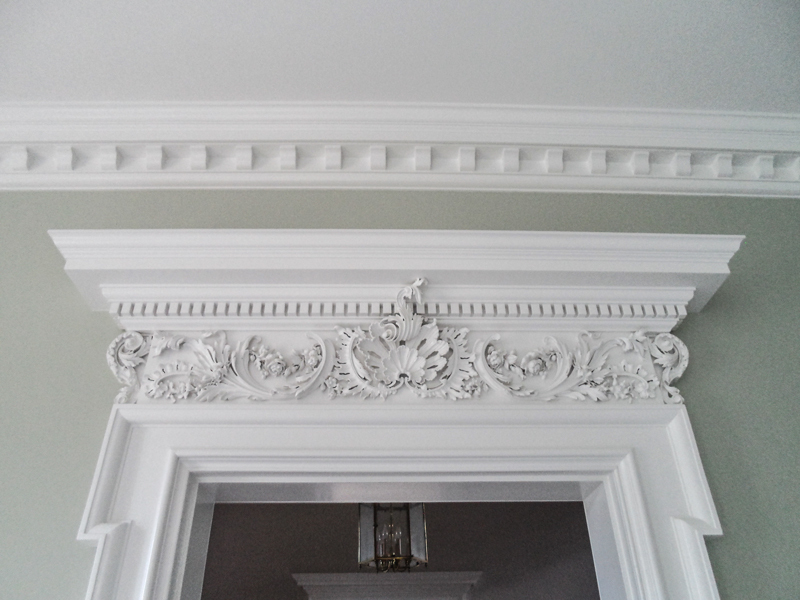 This makes hand-carved wood architectural decorations inherently more valuable than plaster decorations. 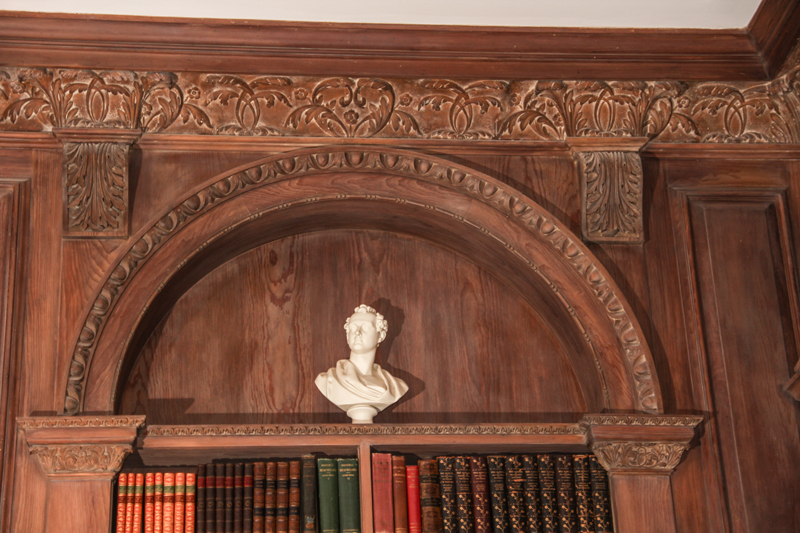 The two masterful Millard wood-carvings above are hiding in plain sight in the Little Chapel, high up, usually mistaken for plaster decorations. Both of them have the same sunflower design as their central element. 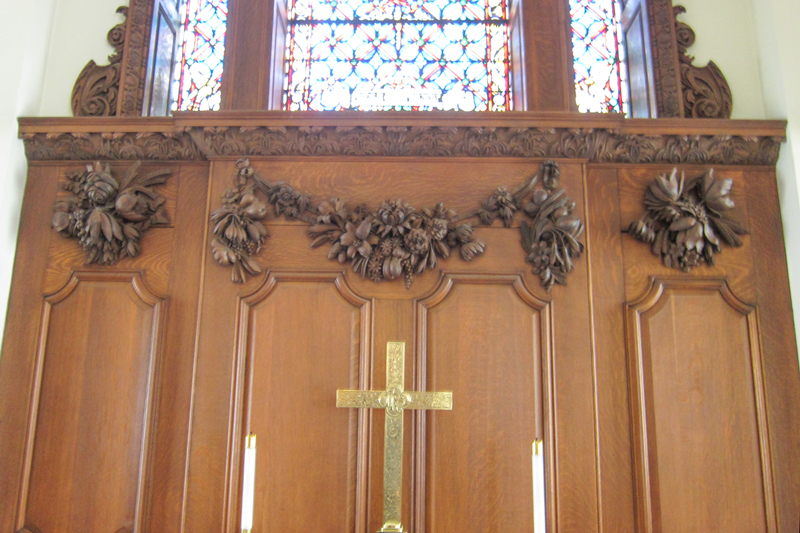 Like other Millard works, the Little Chapel carvings contain no overt Christian religious symbolism. There are many naturalistic Christian symbols, such as a dogwood blossom, fish, lamb, dove, butterfly, and many others. 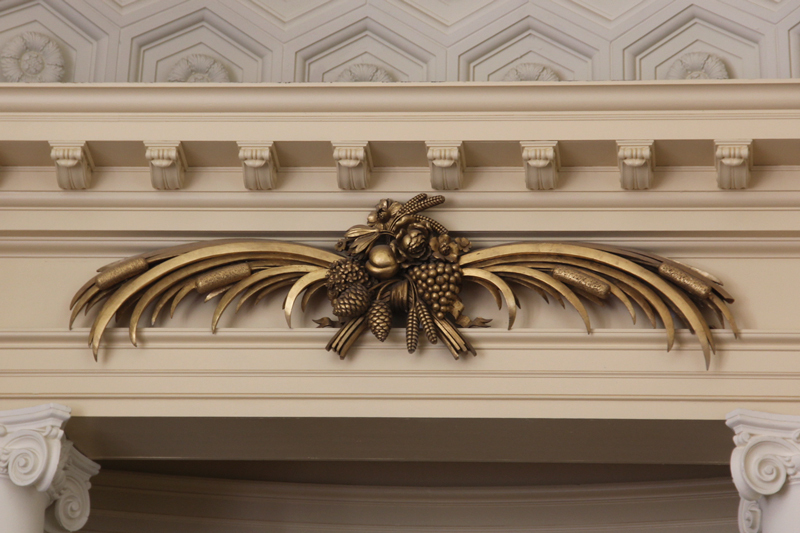 But, they do not appear in Millard’s carvings–even these carvings in a church chapel. 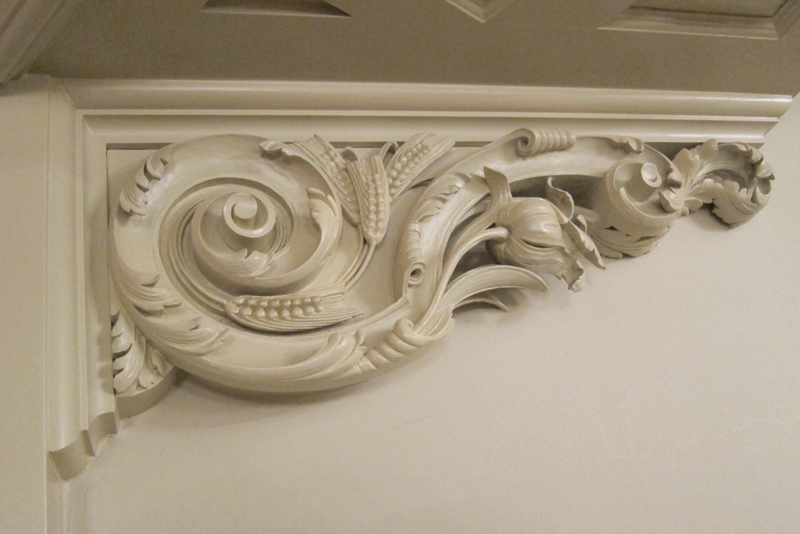 These carvings are, however, dramatic and artistic renderings of thriving natural plant life. The Swan House in Atlanta, GA is now owned and maintained by the Atlanta History Center in its thirty-two acre compound. 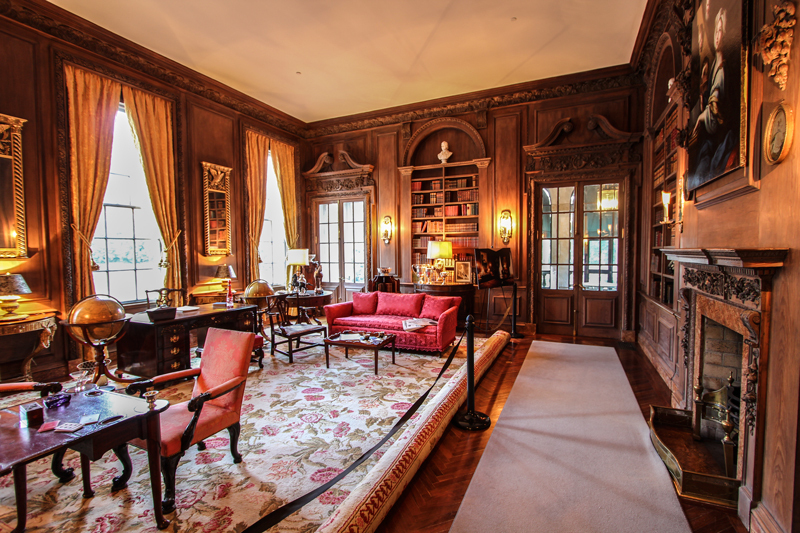 It is a grand, sprawling mansion completed in 1928 that, like other great homes of that period, became too expensive to maintain as a private home. Fortunately, the Swan House did not suffer a period of abandonment and deterioration that has been the fate of other mansions built in the 1920’s. The Swan House was built for cotton financier Edward Inman and his wife Emily. Edward Inman died in 1931 at the age of fifty, just three years after moving into the Swan House. After Edward’s death, Emily gathered her family in the house and stayed there, maintaining it in good condition, until her death in 1965 at the age of eighty-four. Emily arranged for the Atlanta History Center to buy the Swan House which they did in 1966 for the bargain price of half a million dollars. The purchase included twenty acres of valuable surrounding land. In 2004 the Atlanta History Center completed a $5.4 million restoration of the house and its furnishings. The Swan House helped established the reputation of its architect, Philip Trammel Shutze, as a leader in his field. When work commenced Shutze was just thirty-six years old and was just then becoming a partner at the prestigious Atlanta firm of Hentz, Reid and Adler. It was also early in the collaboration of Shutze with Herbert Millard. The Goddard Chapel at Grady Hospital is a late Shutze design that was dedicated in 1956. Fifty-two years later in 2008 it underwent a much needed renovation to repair wear and tear done over decades of use and misguided attempts to make repairs that did more harm than good. Today, it is considered the most intact Shutze design in existence.2 Shutze retired in 1960, but Herbert Millard worked on well into the 1970s. 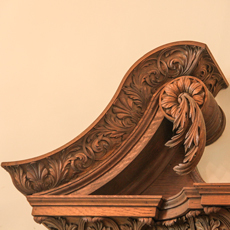 Millard’s carvings in the Goddard Chapel are the work of a mature master craftsman. The Goddard Chapel in Grady Hospital is designed to be acceptable to multiple faiths, which in 1956 meant Protestant, Catholic, and Jewish. 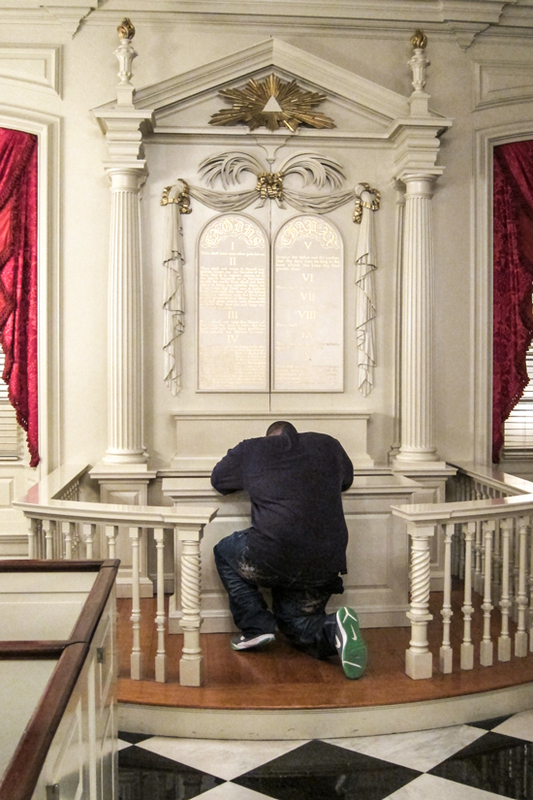 Shutze was a Protestant, but he was also the architect of The Temple on Peachtree Street in Atlanta, a large Jewish reform congregation. Philip T. Shutze designed a house for Atlanta businessman Harry Dwoskin that was built in 1948. It was modeled after the Governor’s Palace in Williamsburg, VA, but on a smaller scale. It contains several high quality Herbert Millard carvings. 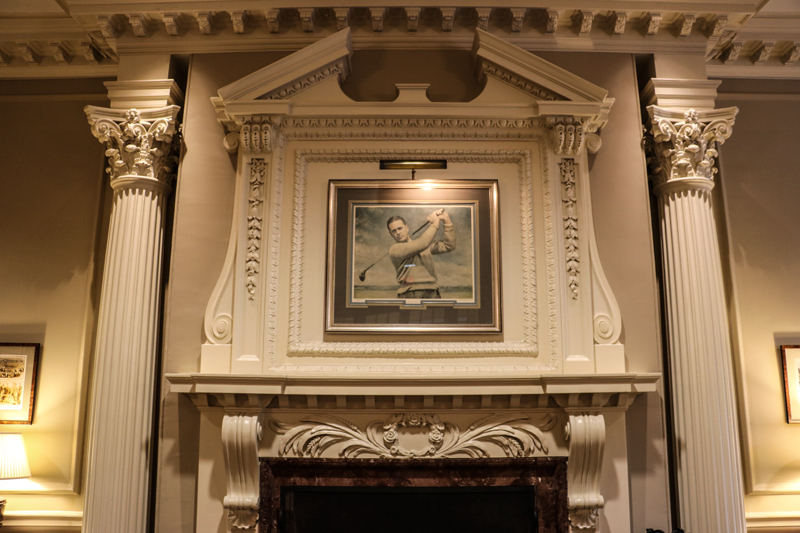 Herbert Millard carvings are incorporated into a magnificent classic composition there by Shutze honoring the esteemed golfer Bobby Jones. Herbert Millard worked primarily for Philip Shutze until Shutze retired in 1960, but Millard went on to work for other architects well into the 1970s. The sanctuary of Clairmont Presbyterian church in Atlanta contains an accent piece done by Millard in 1963. The architect of this church was Fuller Pope. As stated in Landmark Homes of Georgia 1733 – 1983, “The Hightower House is the last great country house built in Georgia in the tradition that reached fine flower in eighteenth-century England in the hands of William Kent. 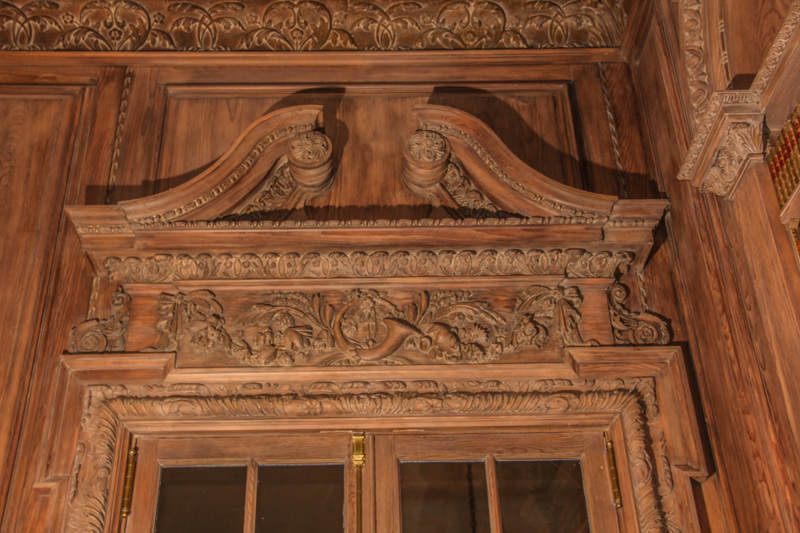 And it is the last great house that Philip Shutze did in Georgia before his retirement…”5 The house contains an impressive array of Herbert Millard woodcarvings. During his most productive period, Philip Shutze would draw sketches of proposed projects for prospective clients, then turn to James Means to actually draft the plans. Means was a draftsman of the highest skill, and he went on to become a leading architect himself. 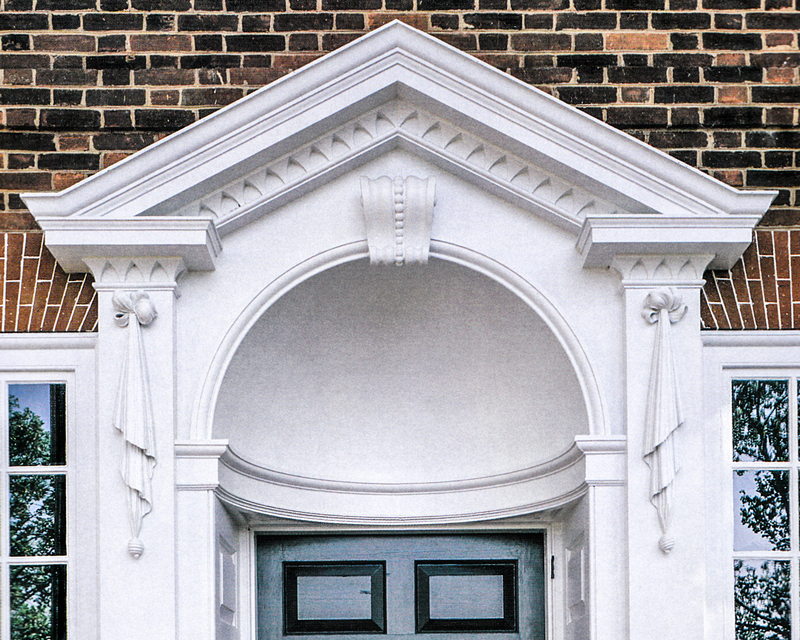 In his book on James Means’ architectural work, William R. Mitchell credits Millard for the handcarved drapery details on both sides of the main entry doorway to the Shapard house designed by Means.7 It was built in 1969. 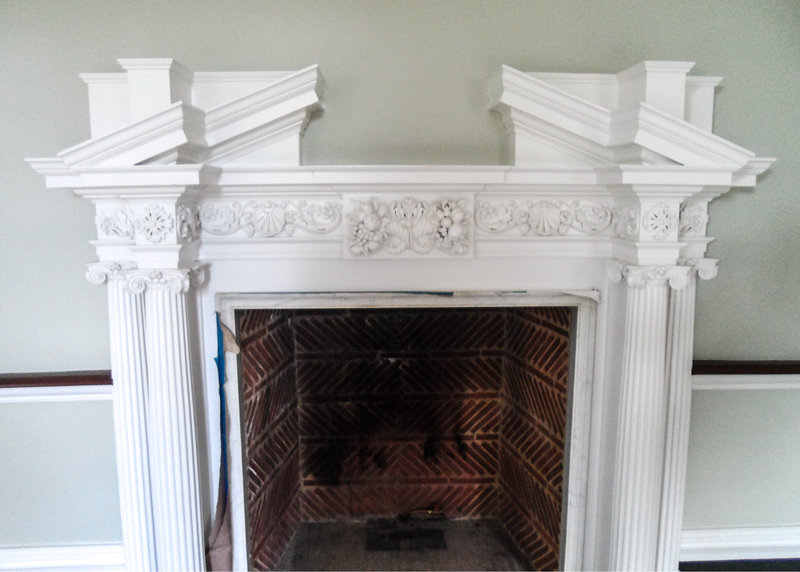 The finely rendered Shapard house drapery carvings look similar to the drapery carvings in the Goddard Chapel at Grady Hospital in Atlanta, featured above in this article. Another James Means house, the Stewart House in Gastonia, NC, is also featured in Mitchell’s book about James Means architectural work. It was built in 1968 and has another striking entry door designed by Means. The write-up on the Stewart House8 does not mention Millard, but that may have been an oversight. 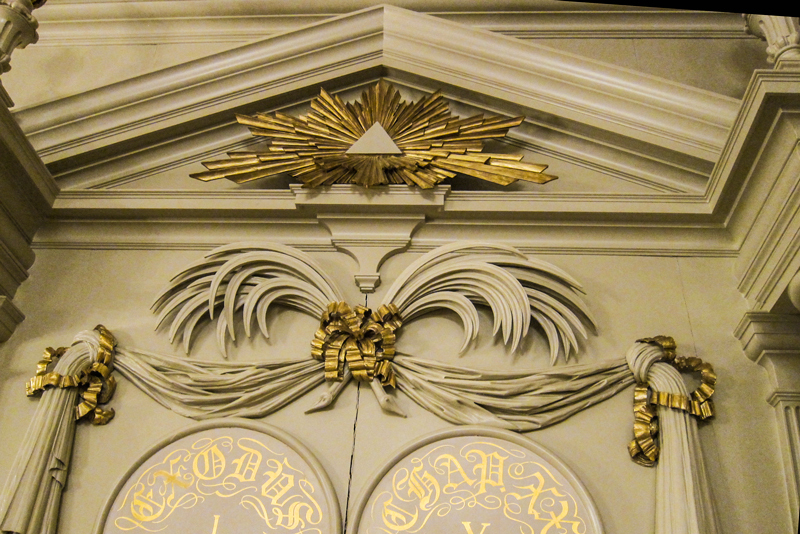 The image on the right is a detail from the first photograph in this article–the carvings above the door in the Little Chapel at Glenn Memorial United Methodist Church. Note the cylinder and swag element in this part of the design. 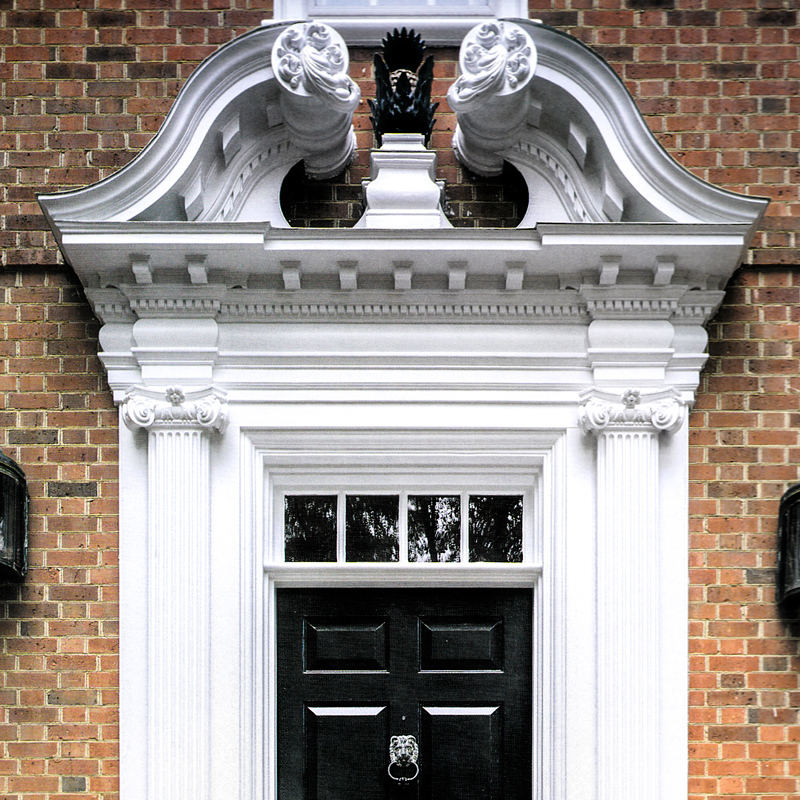 Similar cylinder and swag elements are carved at the top of the Stewart door. 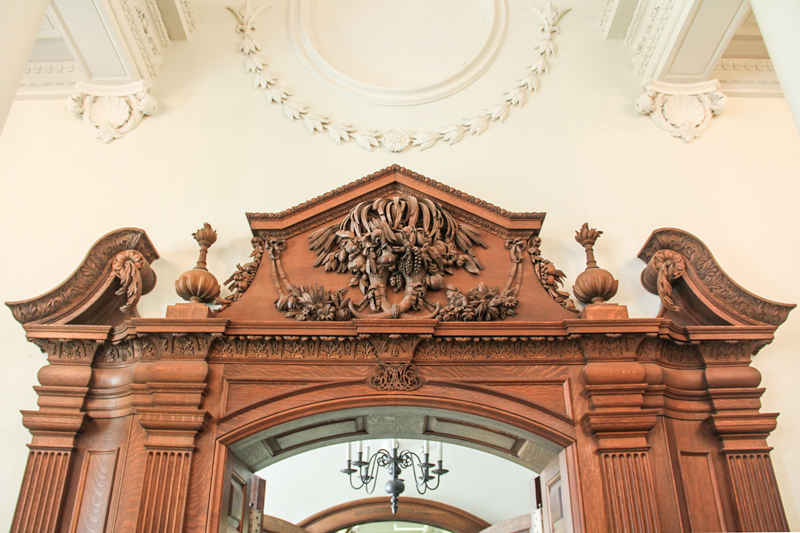 Did Millard do the uppermost decorative carving for the Stewart entry door? 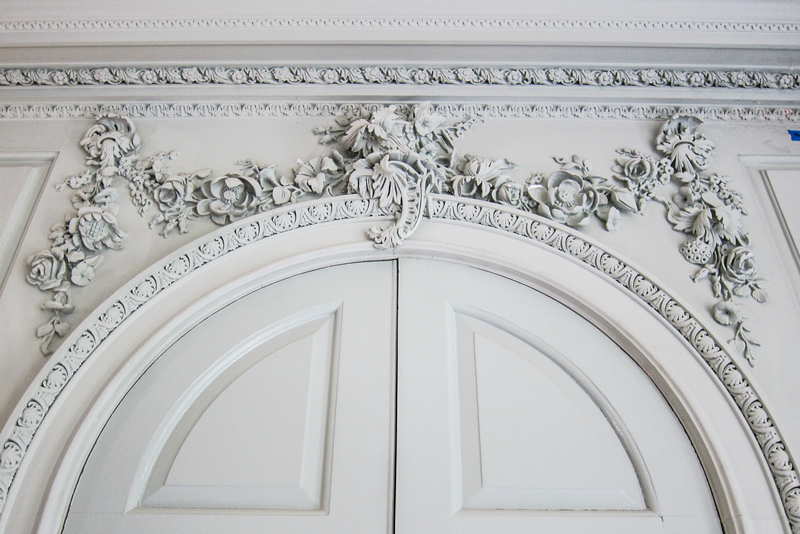 Considering the same type of work done for the Shapard door, featured above, it seems likely. 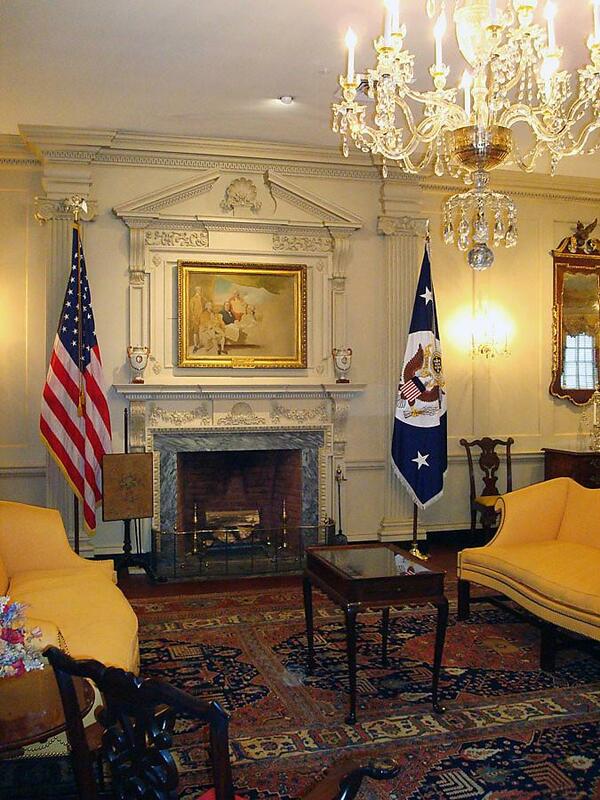 The John Quincy Adams Room, Department of State, Washington, D.C.
Late in his career, Herbert Millard spent much time in Washington, D.C. executing commissions of national importance. 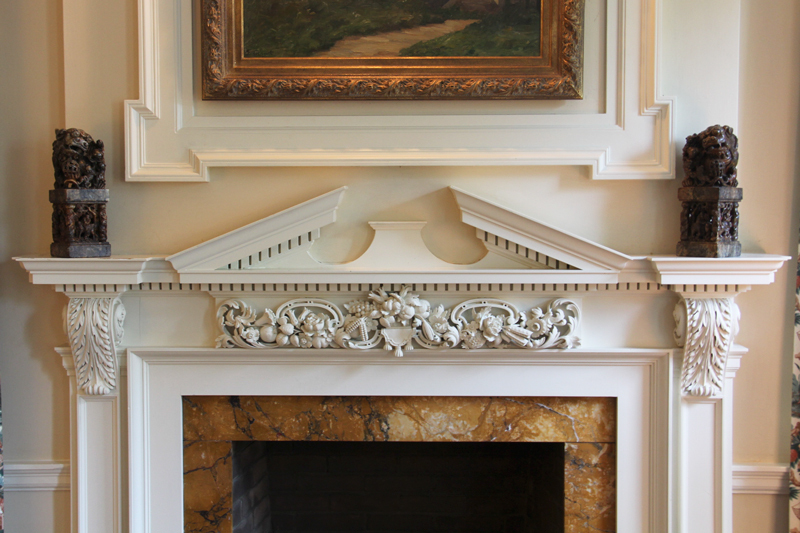 In the State Department, he executed designs by architect Edward Vason Jones that were intended to impress visiting foreign dignitaries with the richness of American history and culture. Millard was originally from England but he spent his adult life in the U.S. and the Jones designs are quintessentially American. John Quincy Adam Room in the US Department of State, Washington, DC. Photo courtesy of the US Department of State. Sources say that Herbert Millard did work at the White House, but corroborating photographs have not surfaced to confirm this. 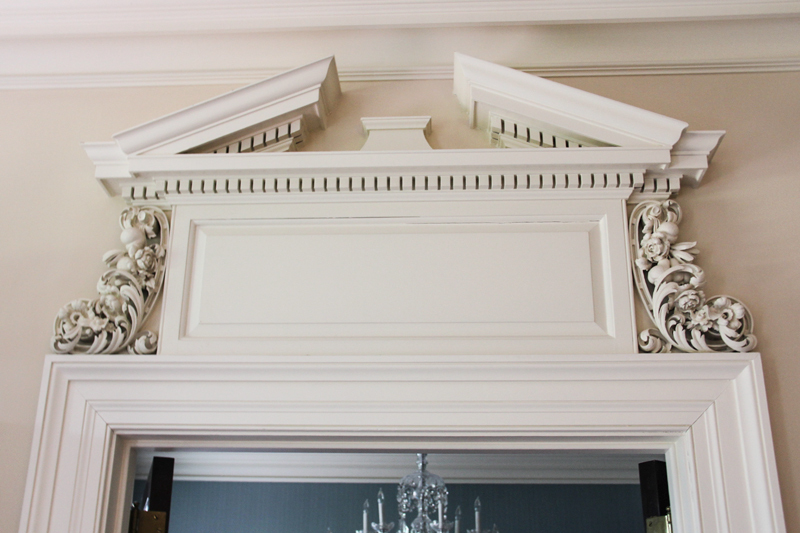 One source said that Millard did the cornice in the Blue Room, but it has the appearance of machined mill-work, not hand carved wood–the technique used by Millard. Another source said that Millard worked on the Shutze designed Temple on Peachtree Street in Atlanta, but no evidence of this has been found. If more information about Millard’s work at the White house or other sites becomes available, this article will be updated to include it.